A good number of years ago, ECS Elitegroup came to North America with a fire and passion that can only be described as "Extreme". Armed with "purple" motherboards that shouted loudly inside systems, the company reached out to journalists and communities to get their name out there. Although their products weren't the most refined, or the highest quality initially, they were willing to learn, listen, and take that feedback to the production line with better products upon every revision. And then something happened. Thanks to a merger with an OEM minded company, the ECS that took its place, just wasn't the same enthusiastic marketing and community driven entity that it once was. For many, it died an "extreme" death, driving users back to industry stalwarts such as ASUS and GIGABYTE, both of which continued to grow their communities, and refine their products, with new features at every turn. ECS should have stayed the course. Although ECS has tried to reboot its efforts with a new "golden age" recently (see our Z77 Round UP), it missed the mark on a lot of levels. The theme drew more criticism than praise. 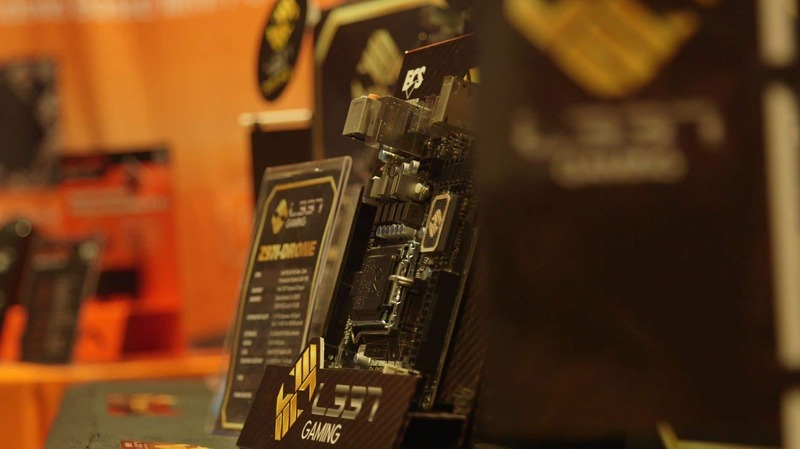 ECS Elitegroup has latched on to the gaming community with their new "L337 Gaming" brand. And they've even sponsored a professional gaming squad, Team Complexity. But for PC DIY enthusiasts, it's the products that matter. ECS Elitegroup has gone back to the designers den, lost all the tacky gold stuff, and have come back with something much more subtle and sophisticated. The L3337 Gaming Z97 Machine, shown above, represents all the things that the gaming motherboard category is known for like enhanced audio via their Sabre Sound (with Creative Labs Cinema 2 onboard), a high performance Gigabit ethernet port via Intel (I218V), and CrossFireX support (no SLI), on a Z97 chipset. The board also has M.2 PCIe storage support, and memory overclocking up to 3000+ MHz. Other things that they've done include an updated and enhanced UEFI BIOS that is less generic than previous efforts, and a pledge that updates will come much more quickly than in the past. But most importantly, the boards appear to use similar components, like high grade Japanese capacitors, chokes, MOSFETs, and a hybrid digital PWM, as other better known brands. At an MSRP of $139 US, with street pricing hitting below $100 US, this is clearly one of the least expensive "gaming" boards on the market. 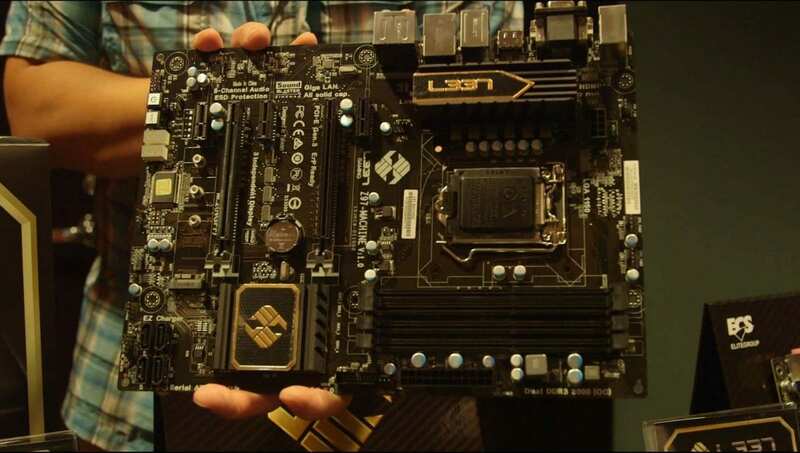 By creating boards that trim off just enough fat (like SLI support) with components that are equal to "big brand names like GIGABYTE and ASUS", the company is hoping to capture many of the users that have been displaced by the increasingly higher price tags of "gaming boards". Another segment that ECS is aggressively pursuing is the mini-ITX gamer, which is exploding in popularity thanks to great cases like the BitFenix Prodigy and the fact that small systems are now as powerful as their full sized brethren. The segment is extremely popular with gamers, especially LAN gamers, that want both ultimate portability and power. The ECS Z97I-Drone (pictured above) fills the need for a very affordable board in this segment at around the $100 US price range, and should be hitting shelves very soon, and shares many of the features of its bigger brother, the Z97-Machine. We can see this being a very popular board for that second LAN party specific system, or for users that want to simply downsize their current rigs at a reasonable cost, while still being able to use a full sized GPU. And of course, there is no stopping anyone from building up a great full time system with this board, if space is a factor. Also mentioned in the video was the ECS Z97-PK which is a value oriented board at around $80 US, but is built to give the Pentium K G3258 "Anniversary Edition" processor some of the highest "push of a button" overclocks at 4.7 GHz. At those speeds, it starts to rival Core i5 based systems. And with a retail of less than $150 US for both parts, it's really hard to say no when you have to have "cheap and good". 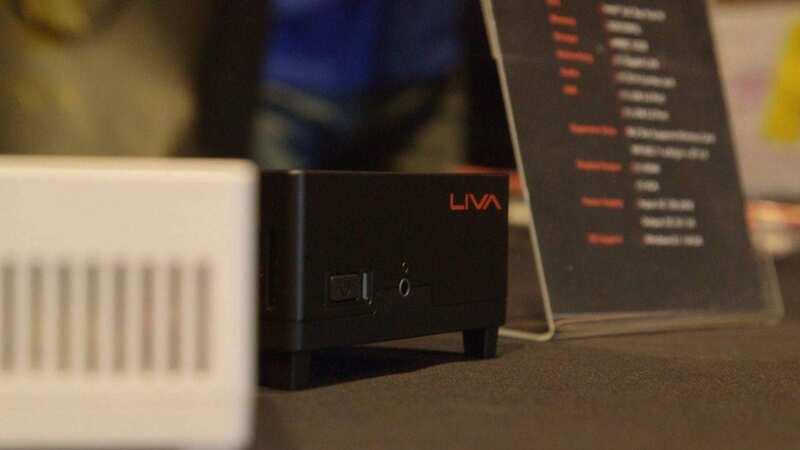 ECS also showed us the LIVA PC, which isn't a brand new product, but it is fairly new for North America. The product has done extremely well with its 32GB Black edition in many emerging markets and overseas with its small size and full support for Windows 8.1. It's also one of the first mini-systems to use the new "Bay Trail" Celeron-M SoC, which was previously only Atom based, now giving it enough power for most casual workloads. It retails for $169 US. They also announced a new white version for North America, that has 64GBs of eMMC onboard, which should give users a bit more breathing room for a full Windows 8.1 install, along with apps. at only $199 US. ECS is really hoping that this product catches on, but they are unsure of where it will end up. Thanks to its small size, it could end up being a great second PC for the home, a great POS system, or could even work for digital signage applications. And because it can even run right off a battery pack that you use to charge your smartphone, imagination can take over on what other applications it can be utilized for. In order to stimulate demand, and get the LIVA PC out there, ECS is hoping to work with retailers to bring you the 32GB version, with a full Windows 8.1 license, for under $200 US. Taking inspiration from their overseas team, ECS is running a LIVA PC design contest, which went very well in their Asia markets. ECS is running the same design contest here in the US, targeted at colleges and design schools, but pretty much anyone is welcome to submit designs for a chance to win up to $1000 US in cold hard cash. You can find out more info about the contest right here. That BBQ design is going to be hard to beat. Can ECS Elitegroup Make a Glorious Come Back? Anything "extreme" is a bit of a cliché. So I'm happy that they didn't just come back with purple boards. And while competition is great for the PC DIY market, it's also much harder for a company to come into the space these days, with such fierce brand loyalty. Especially since ECS sort of left it hanging. But that's just old guys like us holding a grudge. What the newer PC DIY enthusiasts will see, I think, is a company that is bringing out affordable products with high quality components, that fill that gap between regular "channel" boards, and the more premium "gaming" boards. It's a space we feel that needs help, especially since many boards marked as "gaming" start at close to $200 US. The Z97-Machine and the Z97I-Drone from their "L337 Gaming" series come in at great prices and offer a tasteful gaming aesthetic. And with consoles becoming more like PCs, having less expensive components available, that can get the entry level price of a true gaming PC down, is always a good thing. After all, we're told that there are 711 million gamers out there and they all need PCs. But what about the LIVA PC? While I do buy the argument that it's a great system for emerging markets, and somewhat as an interesting option for a second PC when a primary system exists, I just don't think even ECS knows where this product fits in. It's like they are creating the product when there isn't really a need. And to some extent, they admit that. In fact, ECS plans on creating more of these seemingly "random" products to see what sticks. It's a risky move, but if they stay the course, this time, they might create something that we all want, but never knew we needed. So what do you folks think about ECS Elitegroup making a come back? Leave us a comment!